He's ingenious, he's phobic, he's obsessive-compulsive. 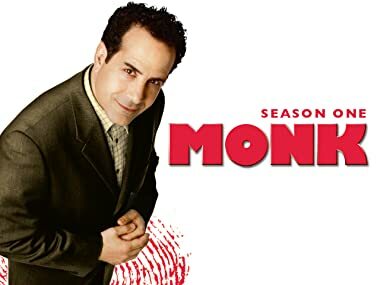 Emmy® and Golden Globe®-winner Tony Shalhoub plays former police detective Adrian Monk. Monk investigates an assassination attempt on Mayoral Candidate Warren St. Claire and learns there's more at play than meets the eye. Part 1 of 2. Monk investigates an assassination attempt on Mayoral Candidate Warren St. Claire and learns there's more at play than meets the eye. Part 2 of 2. Everyone believes psychic Dolly Flint has accomplished the impossible when she discovers the body of the former Police Commissioner's missing wife. Everyone except Monk. An 800-pound recluse, aka Dale the Whale, is the number one suspect in a murder case. But how can a man who can't even fit through his bedroom door be a murderer? Monk, who suffers from vertigo, investigates the death of a police detective murdered on a Ferris wheel. After being temporarily institutionalized, Monk stumbles upon a four-year-old murder. Or is his mind playing tricks on him? Kevin Nealon guest stars. A billionaire is shot dead while mugging a couple outside a theater. It appears to be a mid-life crisis gone horribly wrong, until Monk figures out the truth. Monk investigates an attorney's death and develops a love interest in one of the suspects. Monk, himself a former marathon runner, figures out the clever scheme devised by a furniture magnate to dispose of his mistress during a citywide marathon. During his vacation, Monk helps solve a murder witnessed by Benjy, Sharona's son, even though the corpse keeps on eluding them. Sharona's life is in danger while Monk brilliantly solves a seemingly perfect crime committed during a San Francisco earthquake. Amy Sedaris guest stars. A blind woman witnesses the murder of Willie Nelson's road manager. Is the country music legend the killer? Willie Nelson guest stars. Braving his fear of flying and of enclosed areas, Monk boards a plane with Sharona and solves the murder of a passenger's wife.